Safety Deposit Box, Air Conditioning, Desk, Interconnecting Room(s) available, Mosquito Net, Bathroom and Toilet, Telephone, Satellite TV, Wifi, Wake Up Service, Balcony, Garden view, Quiet Relax Pool. One of the most popular International Beach Resorts in Kenya. 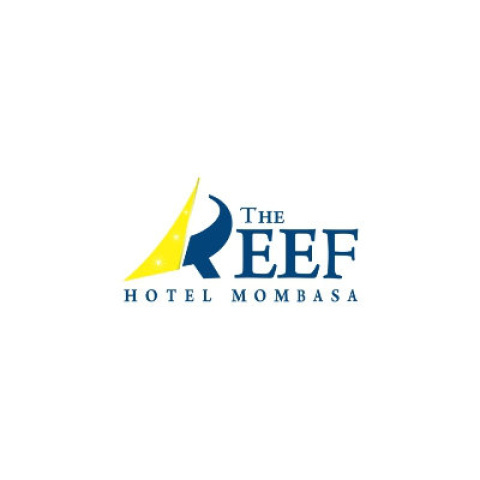 Renowned for its magnificent and spacious tropical gardens, the Reef Hotel in Mombasa is situated on the famous Nyali beach in the North Coast. The Reef Hotel is a friendly, relaxed hotel, professionally managed for the last 40 years by the same family to serve a mix of international and resident clients . The hotel offers a combination of resort facilities for beach holidays, as well as business services including conference rooms and corporate business facilities. The original Reef Hotel was built in in 1972, the Reef Hotel has just had a significant renovation and has re-opened with new designed rooms and public areas. 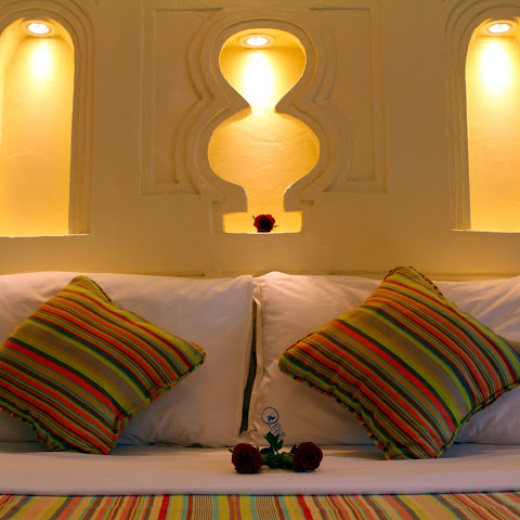 Reef Hotel rooms are air-conditioned, each with its own bathroom, balcony, telephone extension and TV.The club has three accommodation options to choose from - Sea or Garden View Bandas, Director’s Cottages and self-catering Villas. Buffets are the traditional way the hotel serves meals with an international mix of cuisine. Enjoy the romantic candle-lit dinners on theme nights (African, Chinese, Lebanese, Indian, International, etc) and regular bbqs. A choice of 3 restaurants and 4 bars, and water sports directly on the beach assure you that the Reef is ready for your holiday. With regular entertainment by Reef's resident live band and disco, 3 fantastic water swimming pools, Jacuzzi, tennis courts, relaxed sun-bathing and elegant evenings, yours will be a very special holiday in Reef Hotel. If you cancel within 7 days prior to the hotel check-in date, you will be charged 50 % of the total amount booked. If you cancel within 3 days prior to hotel check-in date, you will be charged 100 % of the total amount booked. During the Christmas/ New Year Period; 23rd Dec- 2nd Jan, the B&B option is not available.